Group Discussion Ideas > Social GD Topics > Should Fathers be given Paternity Leave? Should Fathers be given Paternity Leave? Paternity leave is the leave father can take from his work to take care of his child. Paternity leave improves the bond and affection between father and child. It reduces the burden on mothers. Paternity leave automatically teaches next generation that both the parents should involve in child-rearing. With the increasing no. of nuclear families, it is necessary for both the parents to take care of the child. With the absence of paternity leave, many women are giving break to their careers to take care of the child. No. of women working is falling at a faster pace. At present, only 24% of the women are in the workforce, which is very low when compared with our neighbor country China, where 85% of the women are in the workforce. It ensures the gender equality and shared responsibility of the parents in child rearing. Laws should be made to bring the positive changes in the society. Paternity leave can act as a tool against stereotyped gender responsibilities. As paternity leave eases stress for both the parents, happiness levels of the family will be enhanced. A research report indicates that fathers, who takes care of their children in their infancy will continue to participate in child rearing in later stages. Absence of paternity leave can become a reason for discriminating young women at the time of hiring. Because employer has to pay 26 week salary for no work for young mothers. So, employer tends to prefer men over women. It enhances job security as fathers no longer need to quit their jobs to take care of their child. It will strengthen marital bond. Maternity leave is allowed for mothers to recover from the post-natal stress and to breastfed child for 6 months as it is necessary for the child’s health according to ‘World Health Organization’ Recommendation. But for fathers, there is no such requirement. It becomes additional burden to employer. For Government employees in India, a maximum of 15 day paternity leave is allowed before or upto six months from the date of delivery of the child. There is no such mandate for private companies. Maternity Benefit Act, 1961 allows mothers to avail 26 weeks of paid leave from their work. This Act applies to both government as well as private companies in the organised sector. Few private companies in India are giving paternity leave upto 2 weeks. Paid, unpaid or partially paid type of Paternity leave is allowed in 78 countries. In some countries, most of the fathers are utilizing paternity leave, where in some others not many men are availing it. In UK, very less percentage of fathers are availing paternal leave. In some countries, there is a concept of parental leave, which can be shared by both the parents. Many men do not utilize paternal leave, because of the social stigma attached to it. They think that they may be perceived as less committed to work, if they take long paternity leaves. Granting paternity leave benefits not just fathers, but also the entire family, because it encourages the sense of shared parenting and improves the father and child bond. Laws should be created and modified inorder to sync with societal changes to bring positive changes in the society. 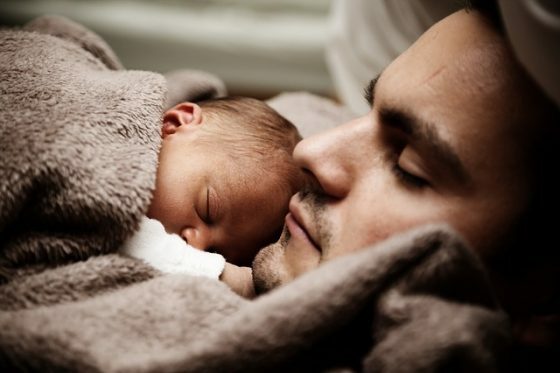 Afterwords :- Do you think paternity leave should be granted to men? Share your thoughts on this topic in the comment section below.